A set of three leg extensions that give you an additional 15 inches in height, allowing for gravity transfers and easier cleaning. 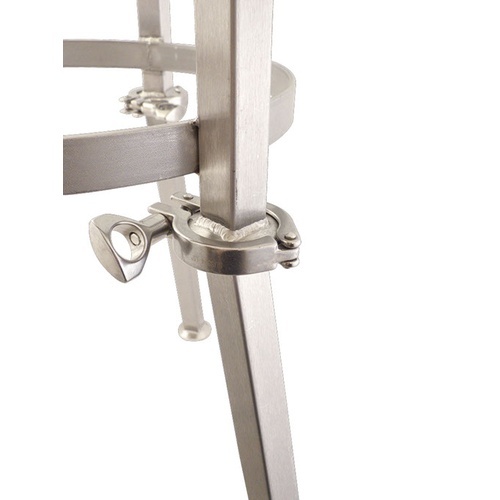 Each extension attaches to the conical stand with standard 1.5 inch tri-clamps, which makes assembly a breeze. The leg extensions will make an empty conical very top heavy, so please use caution when using the conical when it is empty! 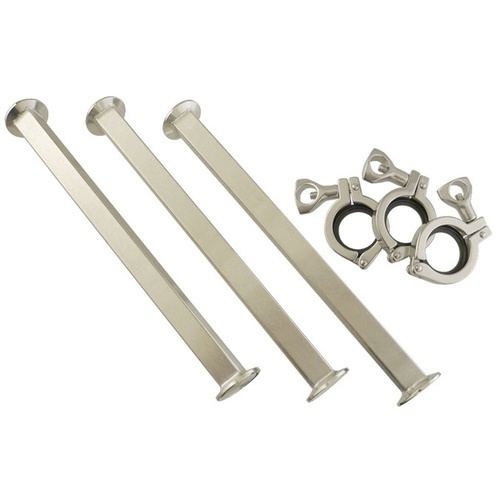 Set comes with (3) legs, (3) tri-clamps, and (3) gaskets. Because they look cool. What are they for? These leg extensions look great and worked perfectly!!! Simple to install and easier to admire; as well as show off to your friends and fellow brewers! 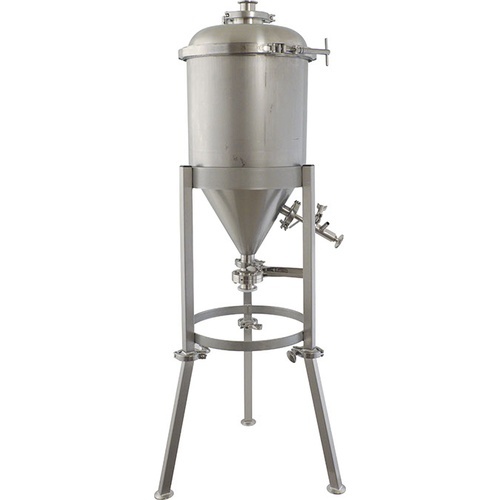 If you ever want to bring your fermenter up to a new level, this is the way to go. If in doubt, order them, you won't be disappointed! 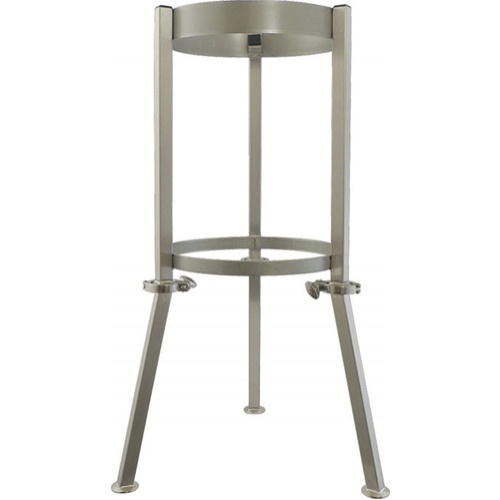 I bought the legs to raise the fermenter to a better working hight. These longer legs allows easier access to the dump valve. The fermenter becomes a bit top heavy so have to be careful moving it. I plan to mod the legs to mount my pump and holder for small CO2 tank. I wanted to install a yeast harvester and this gives you the room... plus I like to look my fermenters in the eye. The fact that these are subtly angled makes it quite stable despite the increase in height... and the tri-clamp connecters are nice. A very well designed product.